There’s definitely something fascinating about abandoned places. Don’t you agree? As you look at an old, rundown train station, hotel, or theme park, it’s fun to look past all of the dust, rotting wood, and rusting metal. 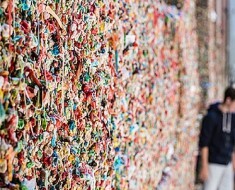 Underneath all of that lies rich history. These are places where people once worked and played. 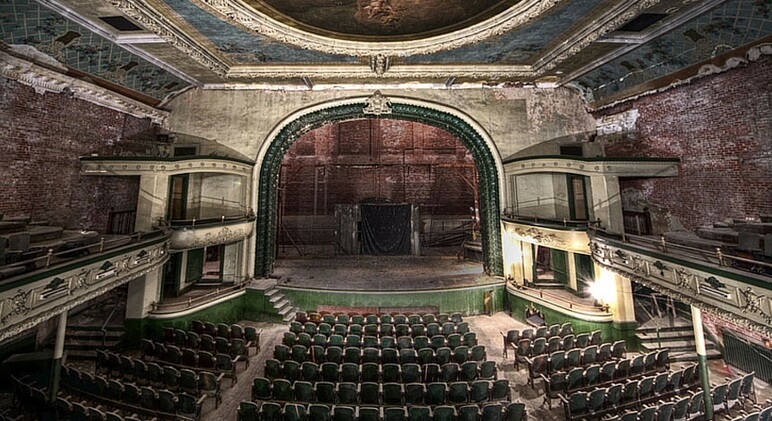 Check out these 18 haunting images of historic abandoned places. 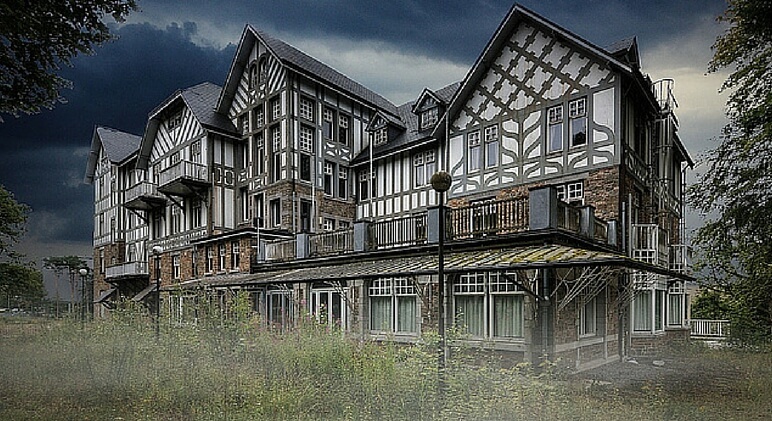 This spooky hotel in Spa, Belgium has been abandoned for more than a decade. If you go inside you can still find some of the old furniture and knickknacks. People who have explored the abandoned Hotel du Golf say it’s easy to imagine what once was because there are still ashtrays on the bar tops and paper files inside bookcases. 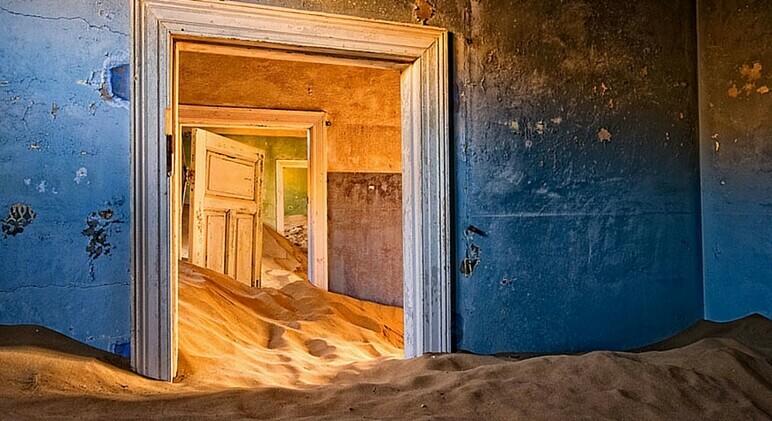 Sand-filled homes are all that’s left of this once booming town. While this spot now sits abandoned, it was actually a popular place back in the 1900s when German settlers realized it was loaded with diamonds! Kolmanskop became a hot spot for diamond mining. The wealth didn’t last long, though. Once settlers found more diamonds south of Kolmanskop, the site instantly became a ghost town. This UFO-looking building was built toward the end of the Cold War as the headquarters of Bulgaria’s Communist Party. In the 1980s, this place was host to many state functions. 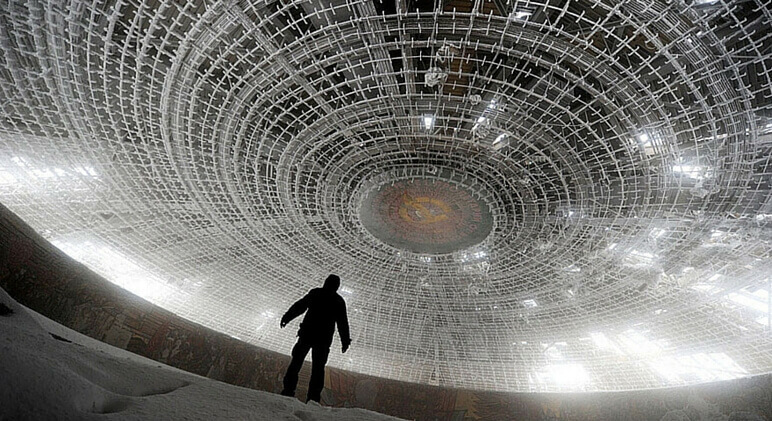 The building fell into disrepair, though, soon after the fall of the Soviet Union. While the unique building is a photographers dream, it remains a ghost town today. 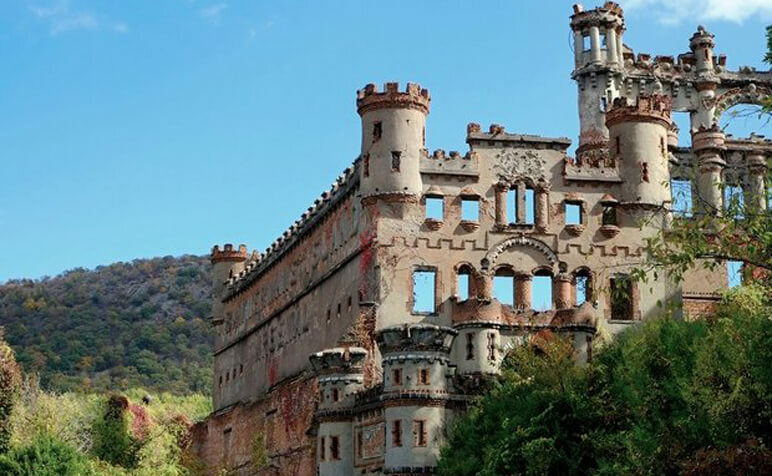 Bannerman Castle sits on a 6.5-acre rocky island called Pollepel. It’s located on the Hudson River. The castle was designed by, and built for, Scottish immigrant Francis Bannerman, who is famous for selling army goods such as cannons, Civil War uniforms, and full ships. Bannerman needed the large space following the Spanish-American War when he bought 90% of the US army surplus. The castle has a turbulent history, though. Throughout the 20th century, the castle was hit by a gunpowder explosion, a ferryboat crash, and large blaze that lasted for three days. If you’ve ever waited for a New York City subway, you know the stations aren’t all that grand. In fact, they’re not very aesthetically pleasing. That isn’t the case for this stop, though. 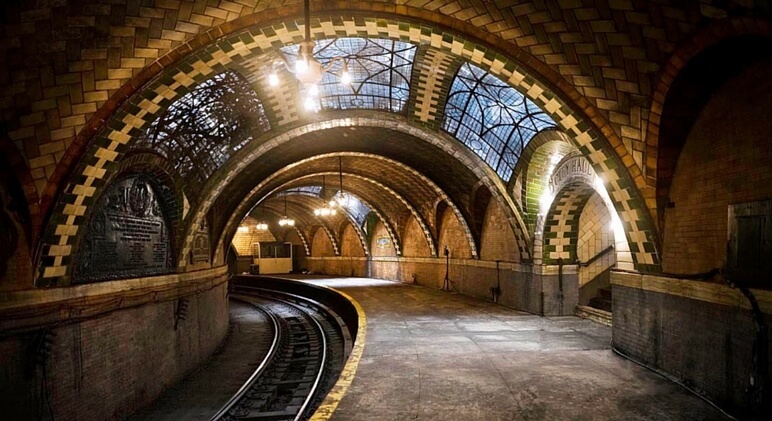 This beautifully-designed subway stop sits underneath City Hall in NYC and has vaulted ceilings and chandeliers! Unfortunately, the curved design isn’t safe for newer, longer, and faster trains. So the station was closed down in 1945 and remains closed today. 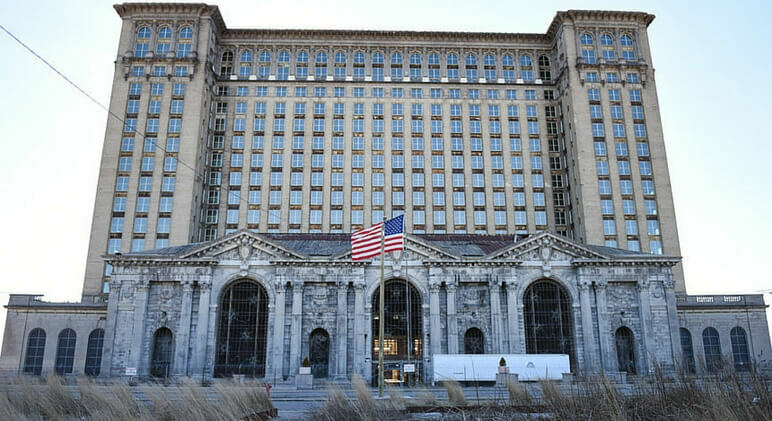 The Michigan Central Station opened in 1914. 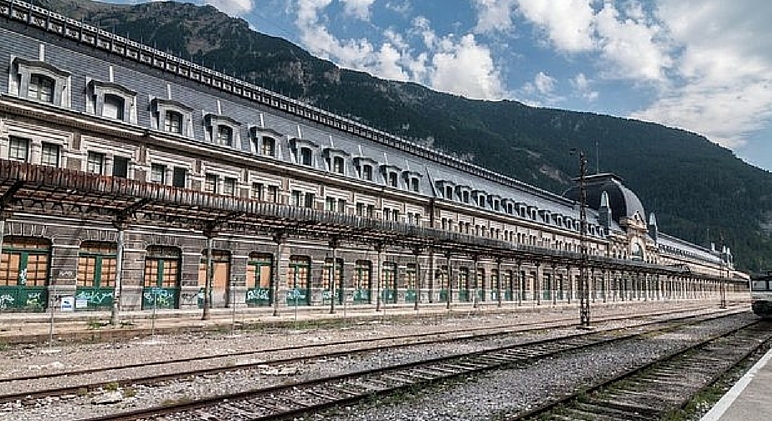 At the time, it was a business hub that welcomed hundreds of trains every day. As traffic began to slow down, though, so did the train tracks. The station closed down in 1988 and the ghostly building is currently under renovations. The owner has already invested millions of dollars into renovations. Here you can see a recent photo with new windows put in. 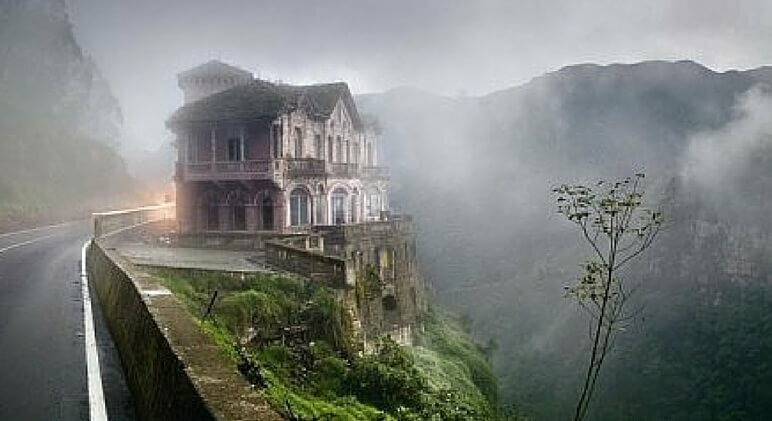 This “haunted hotel” was once a welcoming spot for wealthy travelers. 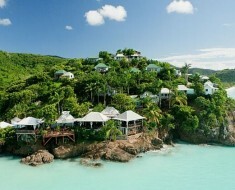 Situated on the edge of a cliff and across from a breathtaking waterfall, the hotel opened in 1928. 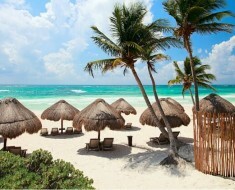 Over time, the water became increasingly polluted and guests lost interest. Hotel doors officially closed in the early 90s. In 2012, the site was turned into a museum. 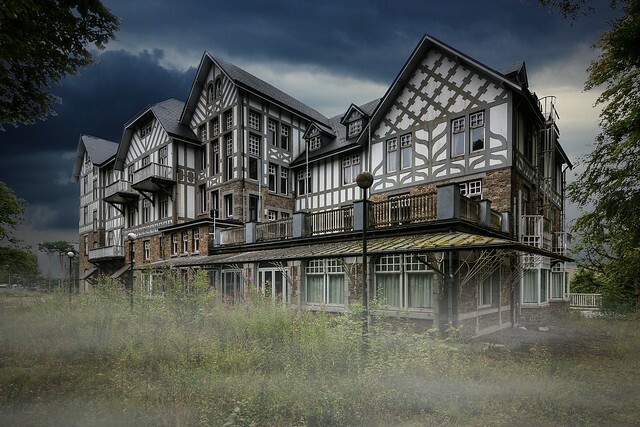 The old hotel is thought to be haunted since a number of people have used the location to commit suicide. Mineral Wells, Texas is a place known for it’s healing mineral water. 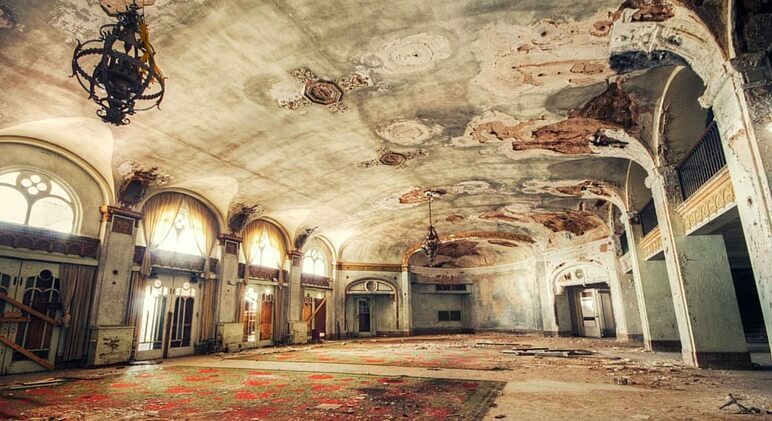 Drawing thousands of tourists every year, the old Baker Hotel became a hot spot back in the day. Doors opened in 1929. Standing 14-floors tall, The Baker Hotel was the first skyscraper built outside of a major metropolitan area. During its height, many celebrities even visited the hotel. Eventually, though, tourism ran dry and Mineral Wells became a ghost town. The hotel has sat vacant since the early 70s. Now, crews are working to revive both the hotel and town of Mineral Wells. 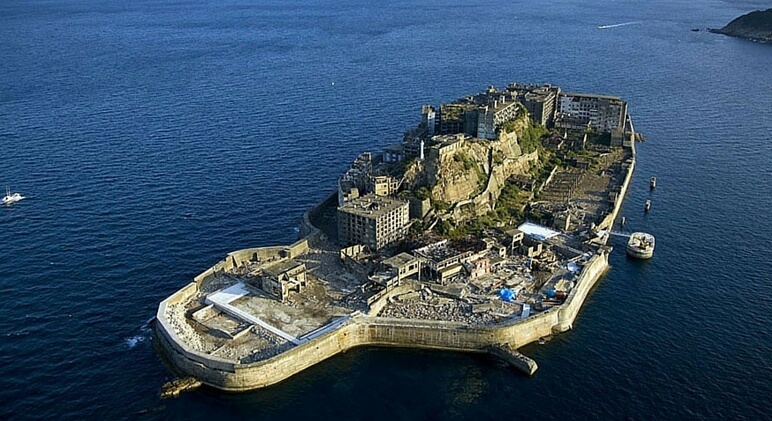 Hashima Island was a popular place in the late 1800s to late 1900s. People flocked to the island because of underwater coal mines. The island was soon filled with tall concrete apartment complexes and thousands of people. When the coal ran out, though, all of the people started leaving the island. They left behind, what is now, a concrete ghost town in the middle of the ocean. 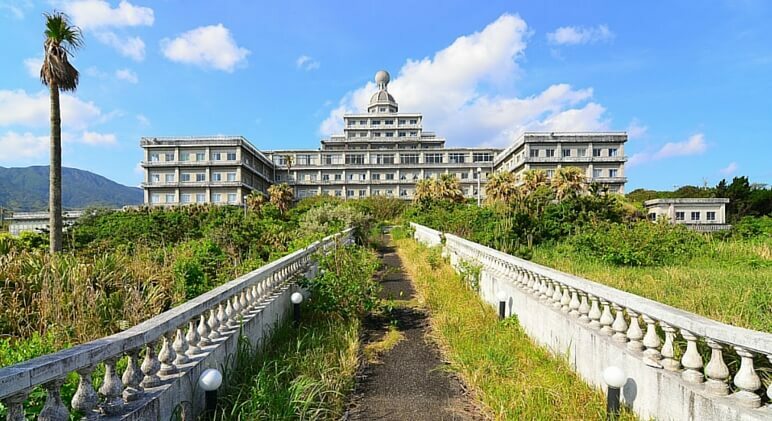 Located on a tropical island just south of Tokyo, the Hachijo Royal Hotel was once the largest hotel in Japan. 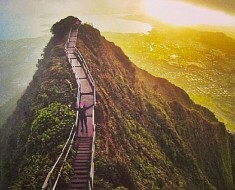 Doors opened in 1963, drawing thousands of tourists. 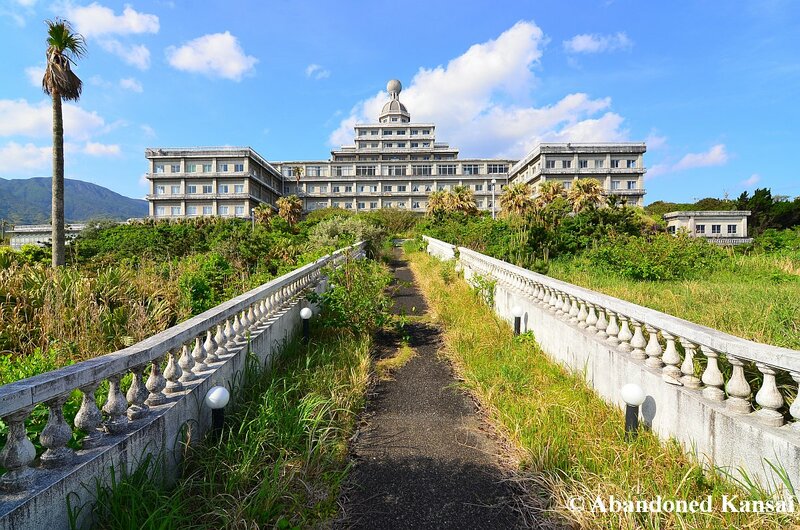 Over the years, tourists have lost interest in the area and the hotel now sits empty. As you can see from the photo below, vegetation is growing up the former-hotel walls. Rusted cars reportedly are still found on the property. This is truly an incredible sight. 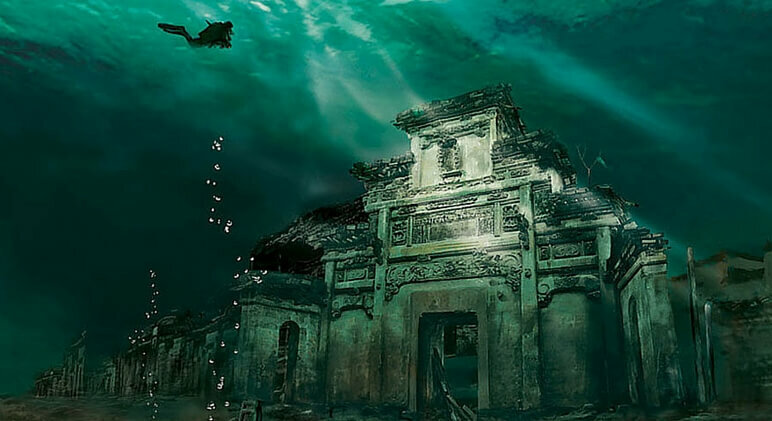 In Shicheng, China there is a city trapped underwater. 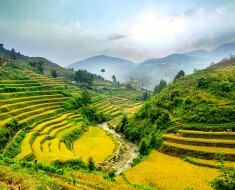 It was purposefully submerged in water back in 1959 during the construction of the Xin’an River Hydropower Station. Even though it’s an ancient city, the water actually protects it from wind, sun, and rain erosion. So it’s in pretty good condition. The Six Flags in New Orleans was once filled with thousands of smiling faces. Since Hurricane Katrina ripped through the area more than 10 years ago, though, all that’s left is an abandoned park. If you walk through the area you will find worn roller coasters, ripped up concession stands, and graffiti writing on old buildings. 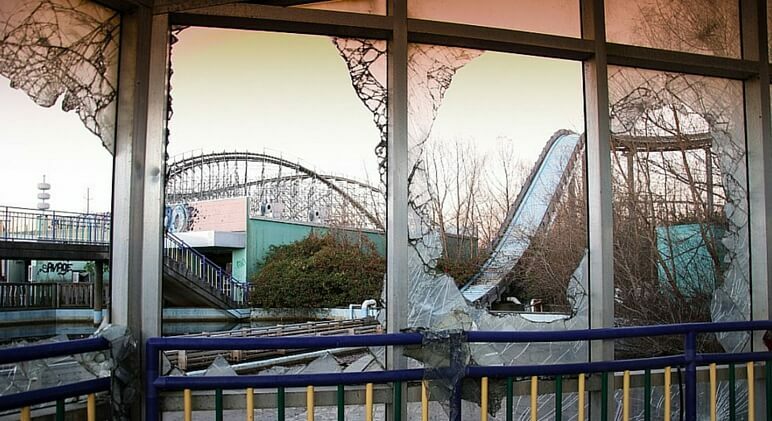 This is another decaying amusement park that makes the list. Back in 1986, a nuclear disaster struck the city, releasing massive amounts of radiation. For safety reasons, residents left the area. Needless to say, the park was left abandoned. It still stands today. Built in 1939, the abandoned Aniva Island lighthouse is thought to be radioactive. It has a long history with both Russia and Japan. Both countries actually traded ownership of the land. They even shared ownership at one point. 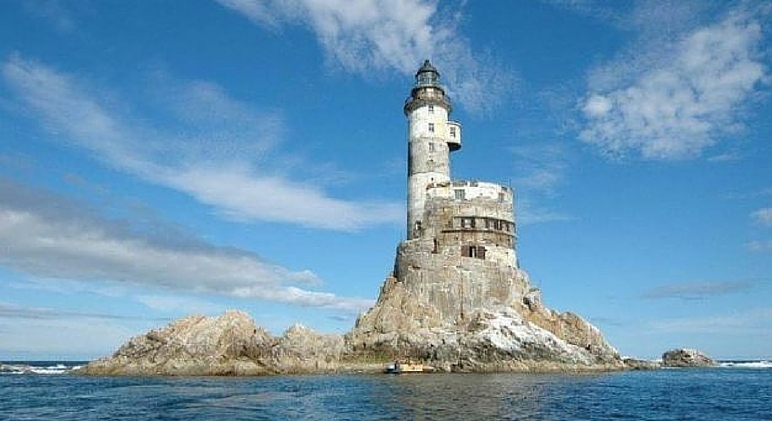 The Soviets finally took full control after WWII and added radioactivity to the lighthouse. The lighthouse was operated by nuclear generators and mercury lubricants. 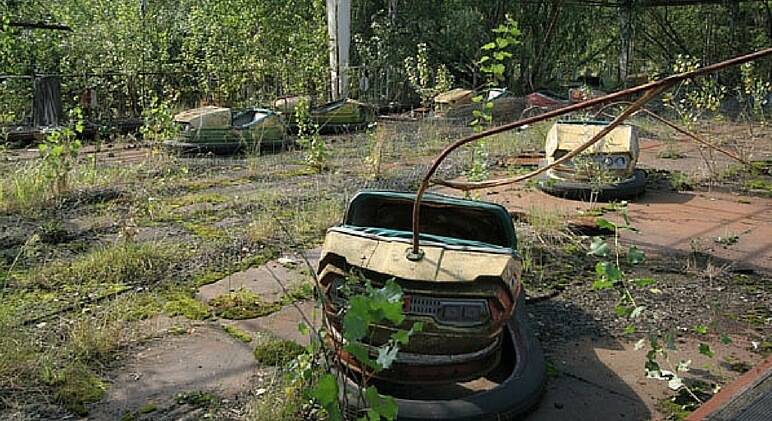 The area was left abandoned after the fall of the Soviet Union. This large hospital was built in the late 1800s and helped Adolf Hitler recuperate from a leg wound after he was injured at the Battle of Somme in 1916. 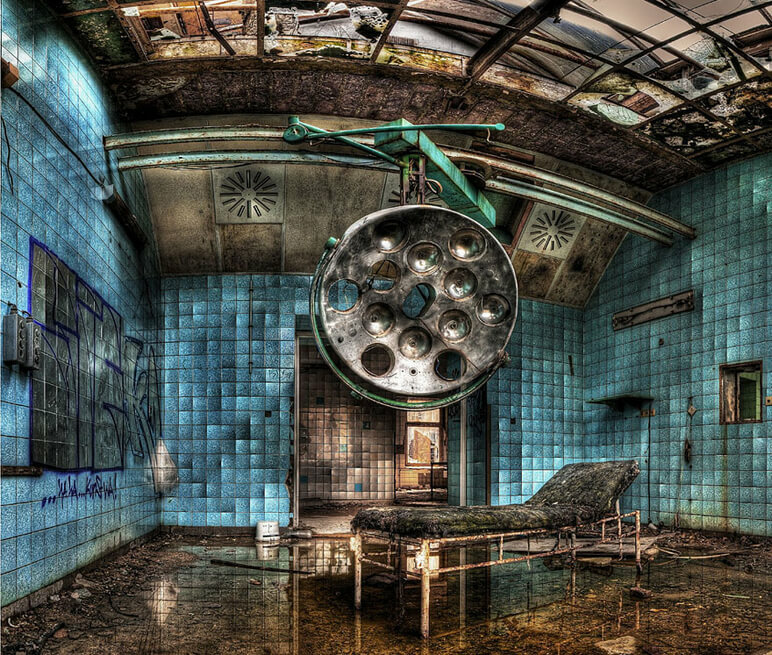 Most of the hospital was left abandoned after the Soviets left in 1995. Today, if you walk down the halls of this deteriorating hospital you will find rusty beds, peeling paint, and graffiti covering the walls. The New Bedford Orpheum opened in 1912 as a theater and movie hall. This Orpheum theater is believed to be the second oldest, opening shortly after the one in Los Angeles. The New Bedford Orpheum closed its doors after 47 years in business. Since the theater closed in 1959, part of the building was used as a supermarket and a warehouse. Now, the Orph Inc. nonprofit is trying to raise money and bring the building back to life. 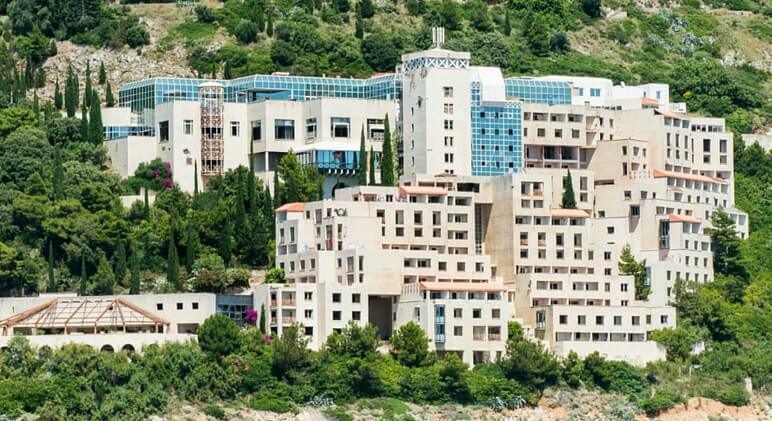 This gorgeous building was once a 5-star hotel. 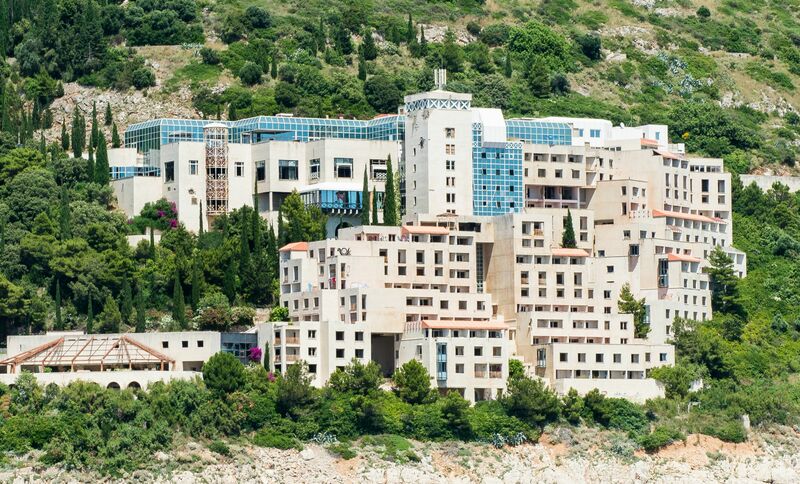 But just 6 years after its doors opened, the Croatian War of Independence arose and the hotel was destroyed by Serbian navy attacks. Today, the large building sits abandoned.